Please use the map below along with the post code table to determine your delivery charge. 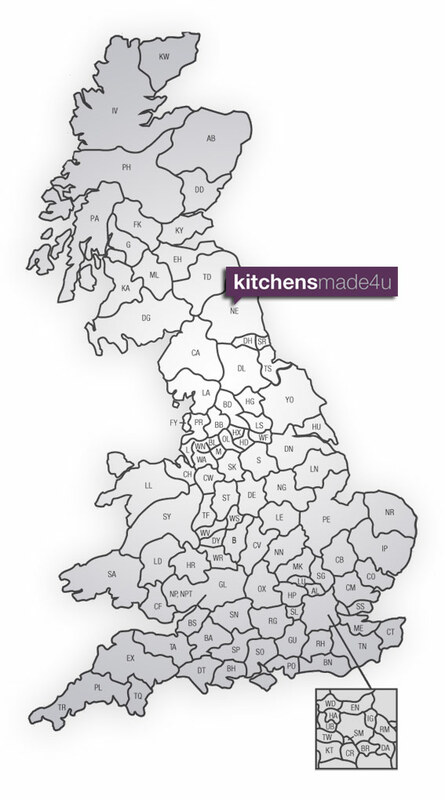 When purchasing your kitchen we will automatically calculate your delivery charge. Please do not hesitate to contact us on 0800 145 6552 to discuss delivery options.